On Sunday, January 27, the Campania Club’s Blackwell bocciodromo in Modbury North hosted a wonderful bocce tournament, this time in remembrance of Michele Simeone and sponsored by Simeone and Paolino Construction. 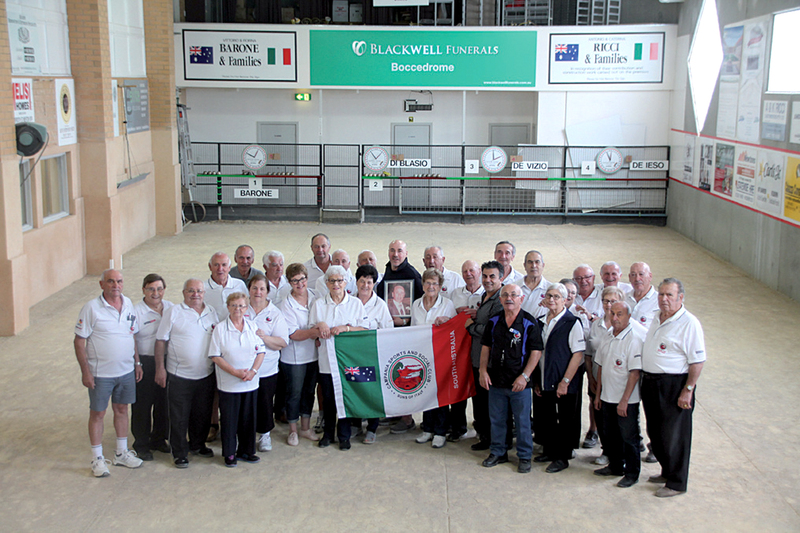 Simeone and Paolino Construction have supported the day for some years, helping to honour the memory of their loved one, but also providing fantastic support to the Campania Club and their bocce court. Participants are always numerous and passionate, so much so that this time they decided to play a mix of doubles and triples. As is usual, Rocco Boffa immortalised the most salient moments of the competition with his camera, including the lively moments and the more formal ones, such as the minute of silence held in honour of Michele Simeone. Gennaro Galasso refereed with the usual attention and precision, and at the conclusion of the competition said to be “satisfied that everything went well”. Throughout the day coffee and beverages were available for all players and guests present. Lunch was also great, and carefully prepared, despite that Sunday being very busy with another event happening at the same time, with more than a hundred other participants. Galasso then gave a special thanks to the ladies in the kitchen “for the marvellous service offered”. A thank you was also said to the executive committee for their hard work and support. Here is a list of winners of the first tournament: Raffaele Zollo and Miranda Sella Gianot, first place; Raffaele Barone and Angelo Romano, second; Antonio Diblasio and Domenico Crisci, third; Giuseppe Redman, Giosue Fragnito; and Antonia Demarchi, fourth. And the winners of the second tournament: Erminio Ranaldo, first; Maria Mazzoccato, second; Angelo Romano, third; and Antonia Demarchi, fourth. This story appeared in the Monday February 4, 2019 edition of La Fiamma.